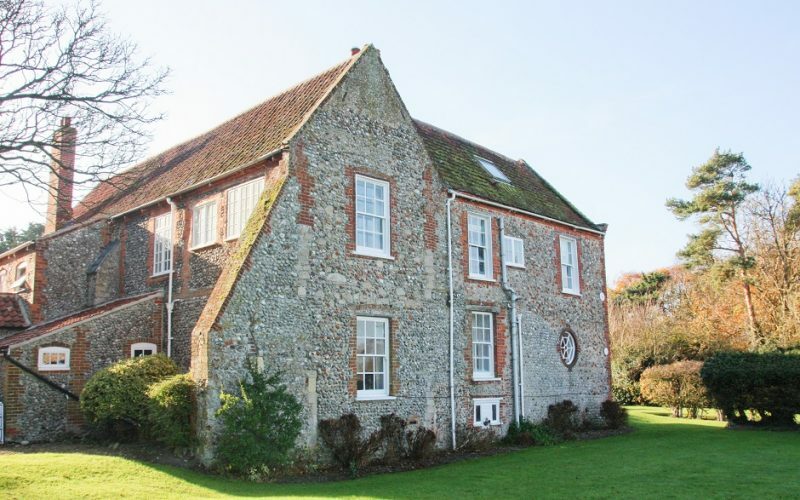 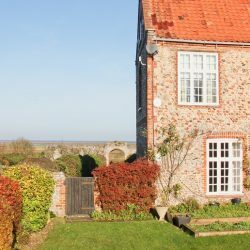 Friary Farmhouse is a Grade II listed period property in a private and coastal setting on the North Norfolk coast in Blakeney. 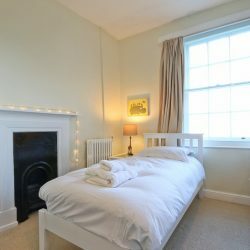 The house is in a raised position at the top of the village, giving guests the most stunning views of the coastline, which can be admired for miles. 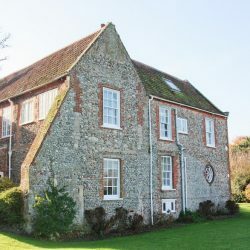 Over the years, the owners of Friary Farmhouse have managed to retain many original features of the property which can still be seen and enjoyed today. 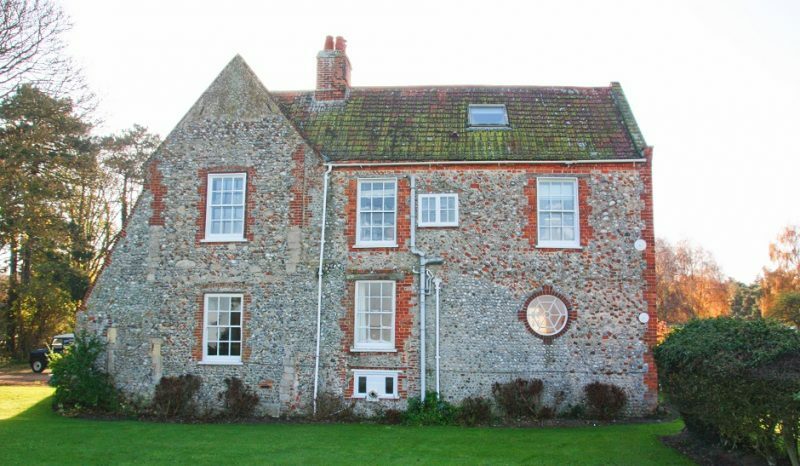 Pieces of flint from the original Friary, which was destroyed by Henry 8th, have been carefully built into the walls of the house, and the entrance porch into the property still has the original 14th century windows. 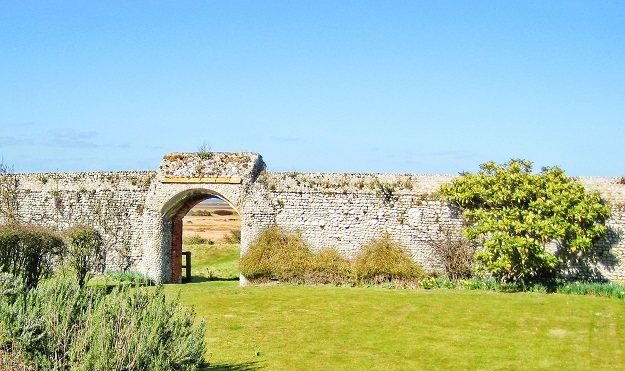 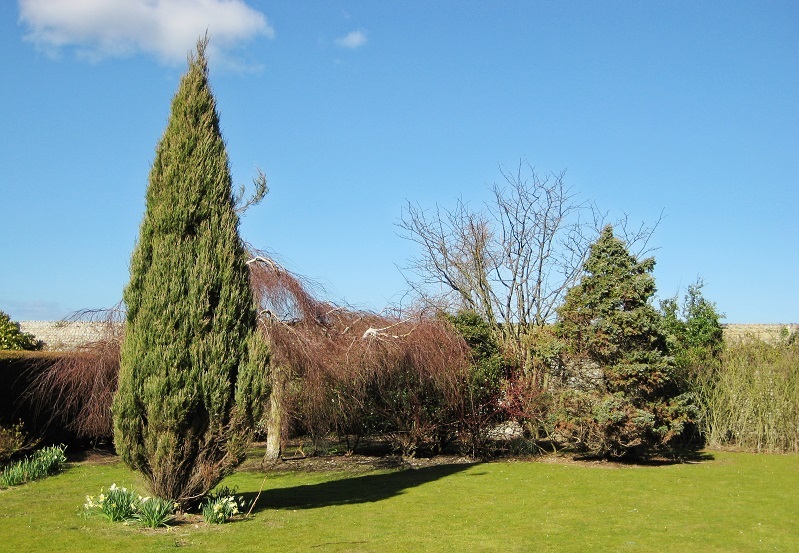 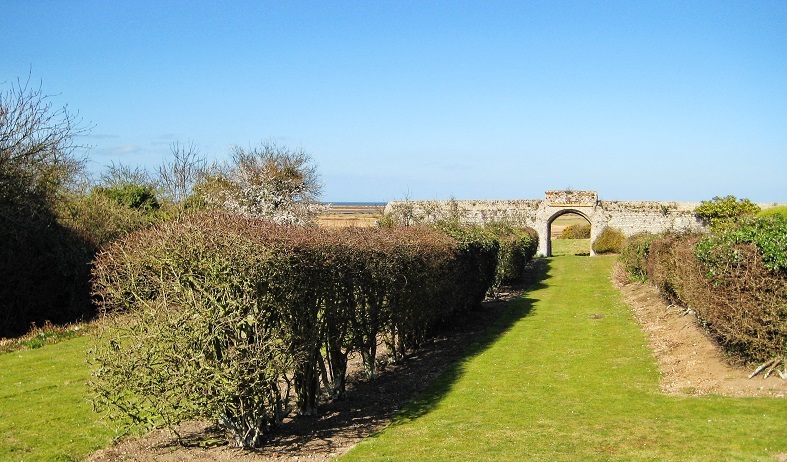 Guests have exclusive access to the pretty walled garden to the side of the property which is ideal for al fresco entertainment on sunny evenings. 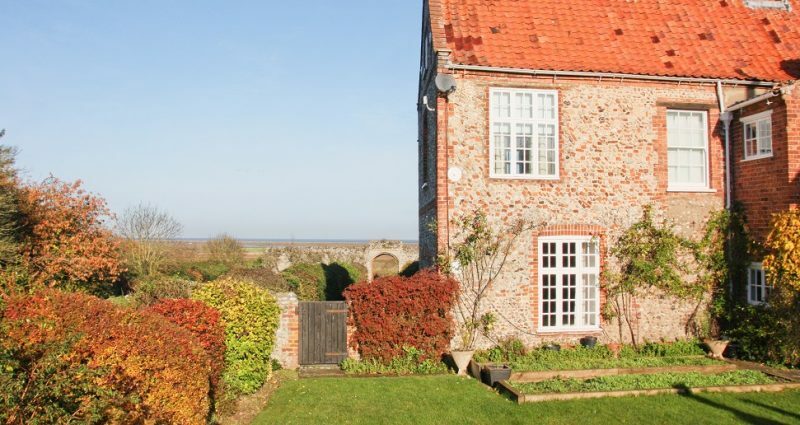 The house shares a large garden with two other cottages on the Friary Farm Estate, has direct access to the coastal path and is just a short stroll from many of the local shops and amenities. 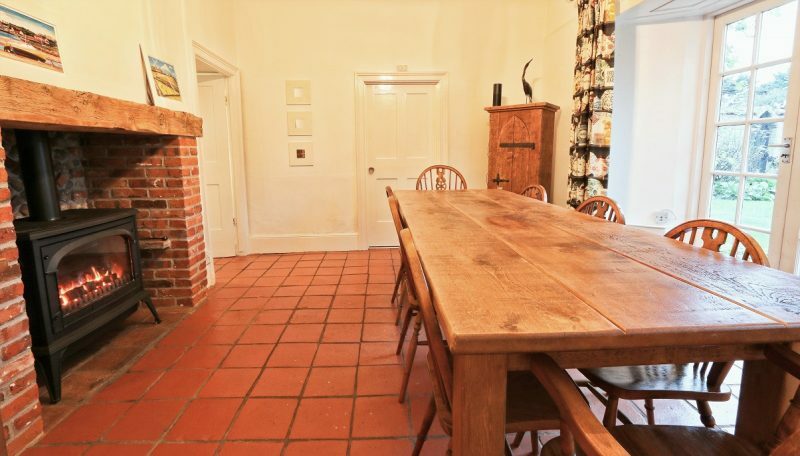 On the ground floor there is a large hallway forking off into the dining room, kitchen, cloak room, w/c and two large sitting rooms. 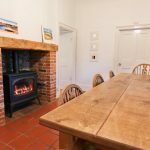 The dining room contains a large wooden table capable of seating up to ten guests and a lovely ‘wood burner’ style gas stove, giving extra warmth to those particularly chilly evenings. 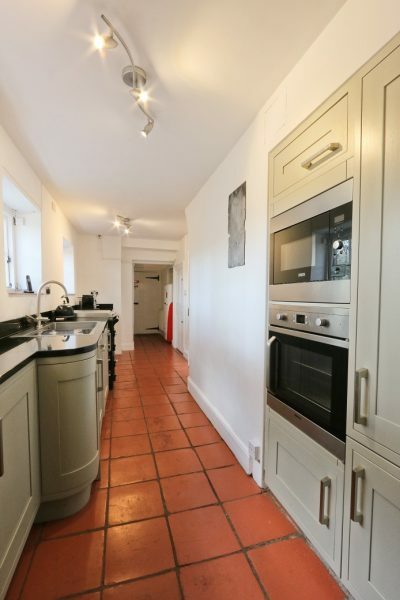 The superb galley style kitchen offers access to the dining room. 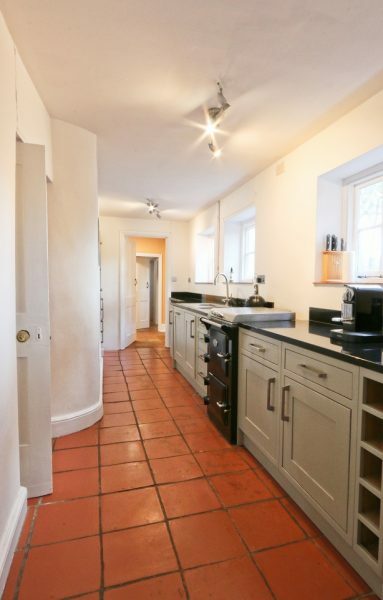 The high-quality kitchen is equipped with everything you need to cater for your party in style. 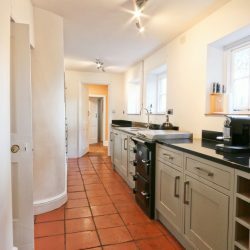 It includes a twin -oven Everhot cooker as well as a separate built-in electric oven and microwave, Nespresso coffee machine, integrated dishwasher, and an American style fridge-freezer. 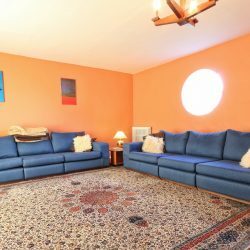 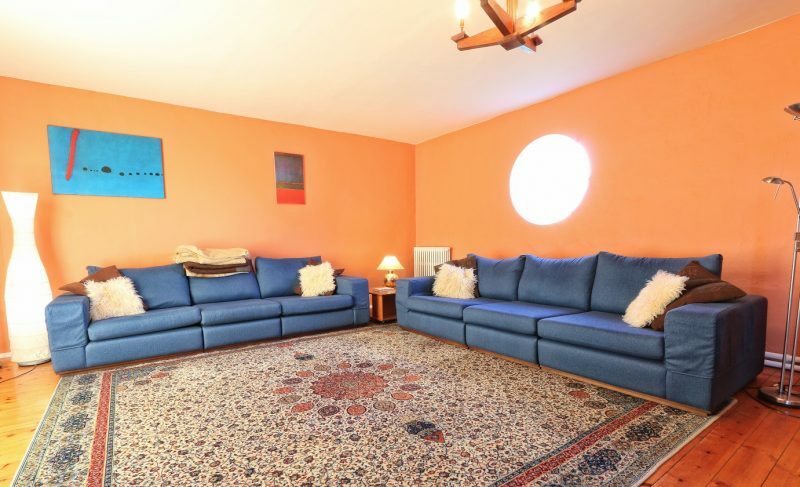 The main living room offers generous space with plenty of comfortable seating, a Smart TV and has been decorated with a warm colour theme. 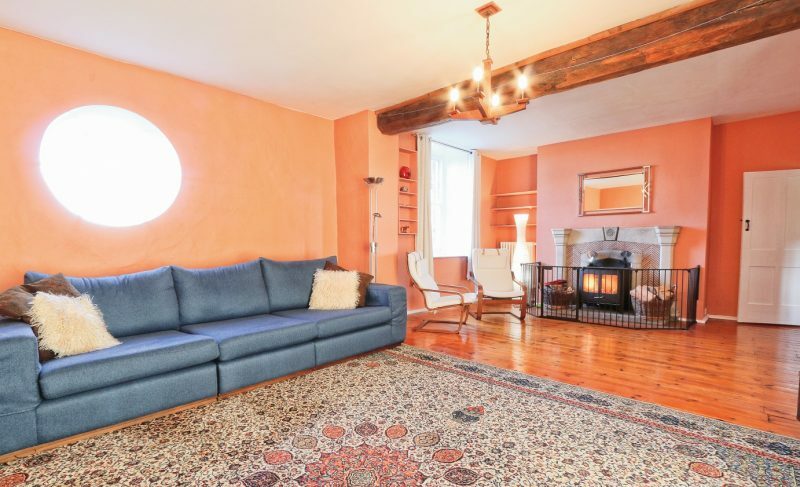 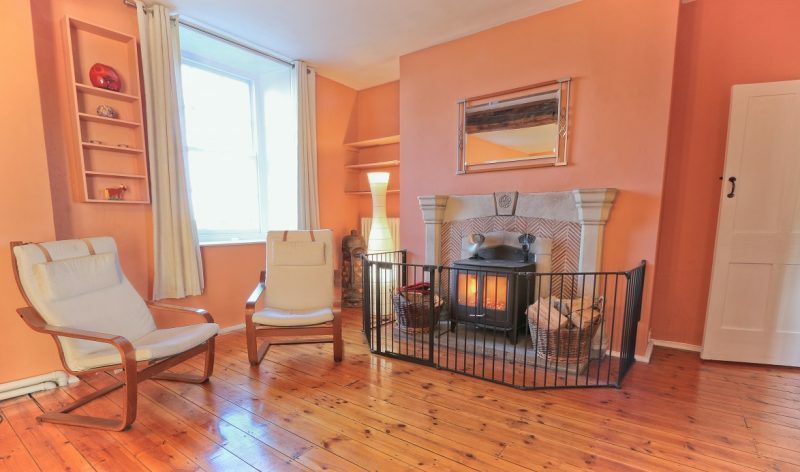 The wood burning stove is a lovely addition to the room, adding real ambience and the large windows bring in plenty of natural light, making it a lovely sitting room to use in all seasons. 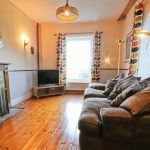 For those who prefer to sit back with a good book and marvel over those beautiful coastal views, the second sitting room is a quiet space and has been carefully furnished with soft colourings and a comfortable sofa. 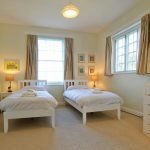 Off the hall is a good-sized cloak room which is a practical space when returning from those busy days exploring North Norfolk. 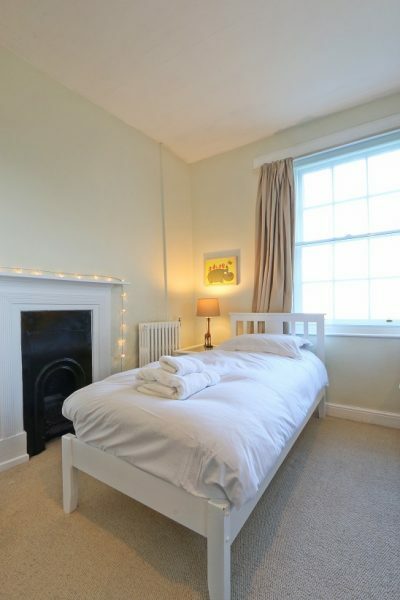 This versatile room also has a washing machine and w/c. 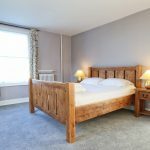 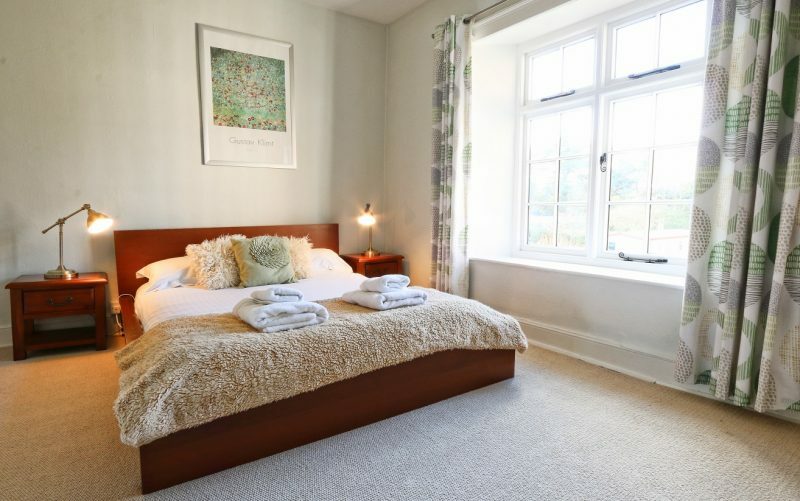 Friary Farmhouse offers four good-sized bedrooms with tasteful décor and furnishings. 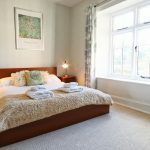 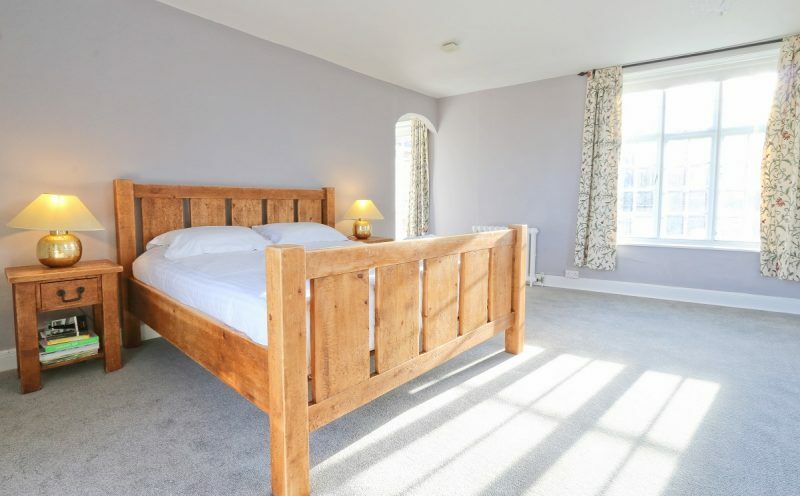 The master bedroom features a super king size bed, large wardrobes and has lovely views overlooking the expanse of gardens and the Quay. 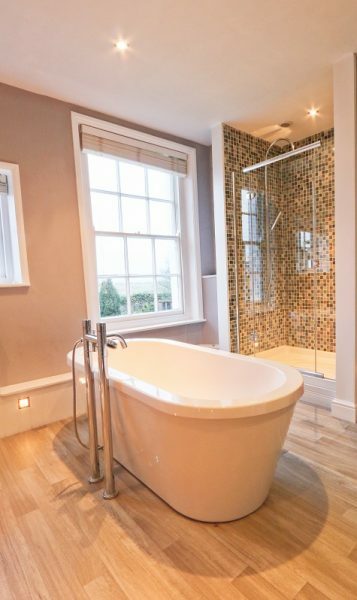 The recently- renovated family bathroom, just next door to the master room, has a deep, freestanding bath as well as a roomy walk-in rain shower. 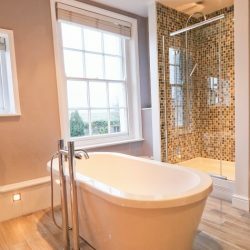 There is an illuminated mirror and hand basin as well as low level lighting surrounding the bathroom, creating the perfect sanctuary. 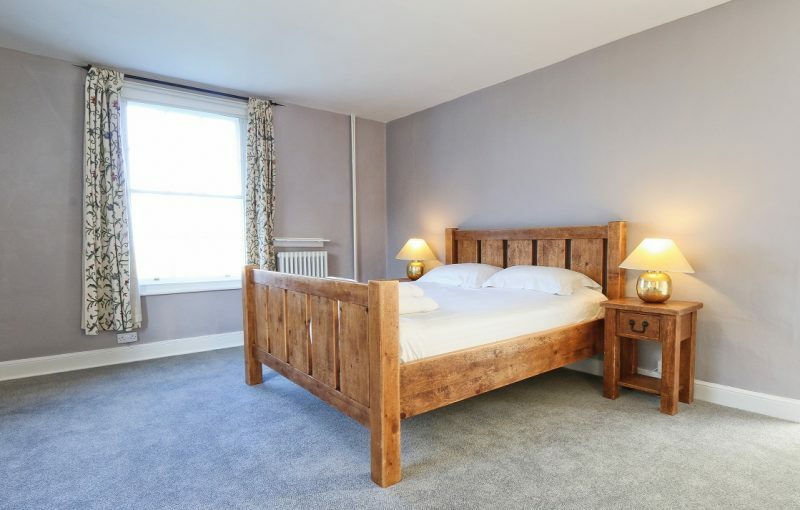 The second bedroom has a comfy king size bed and an en- suite with a bath. 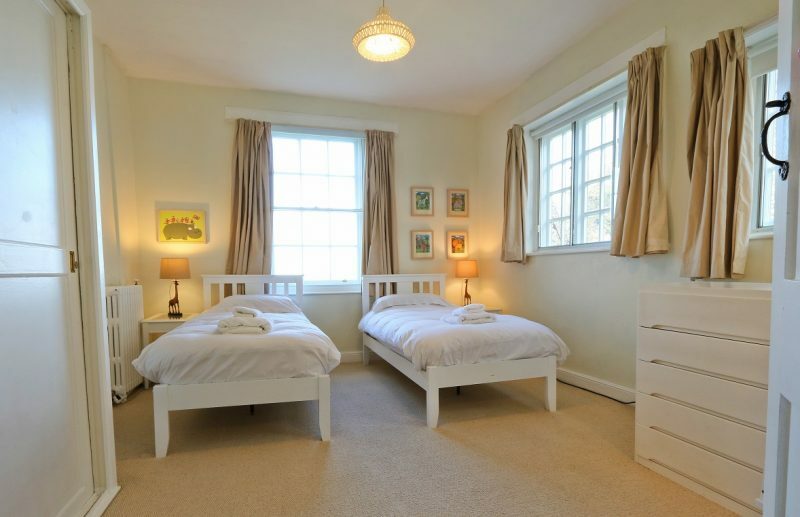 Bedroom three has two comfy single beds, a sink, plenty of storage and those all important coastal views. 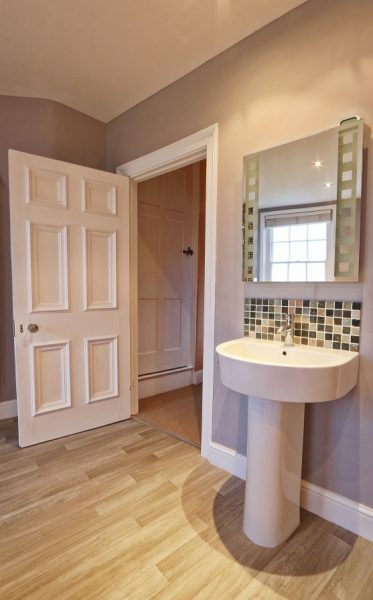 There is also a newly-renovated separate shower room together with a separate loo. 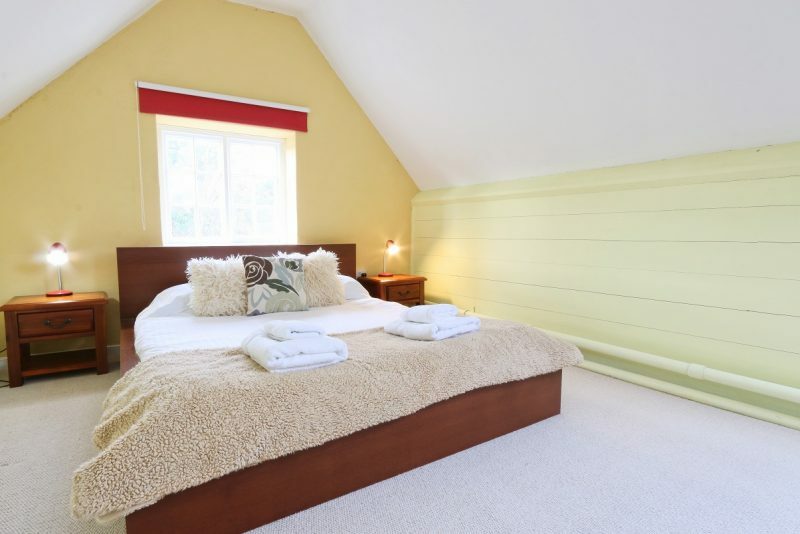 A traditional ‘Norfolk winder’ staircase leads to the attic bedroom which is ideal for additional guests. 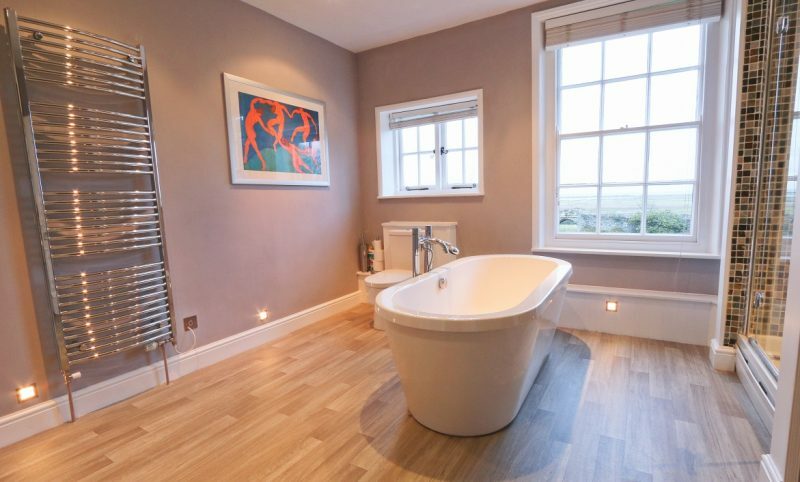 (Please note this staircase is particularly steep and is not suitable for the less mobile). 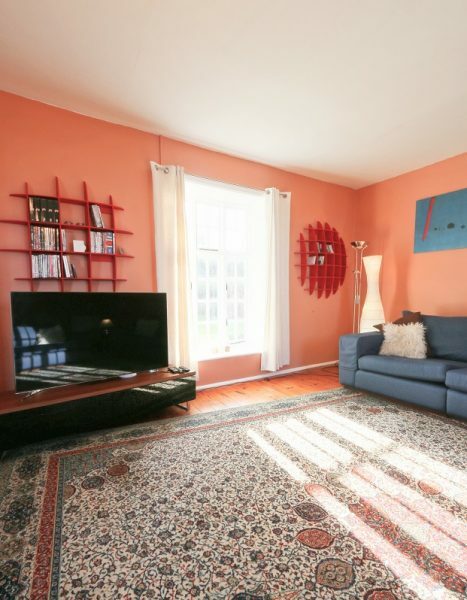 There is a rope hand rail to help you up. 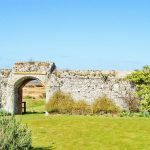 Whatever time of year you choose to visit Friary Farmhouse you’ll be delighted by what the house and surroundings has to offer. 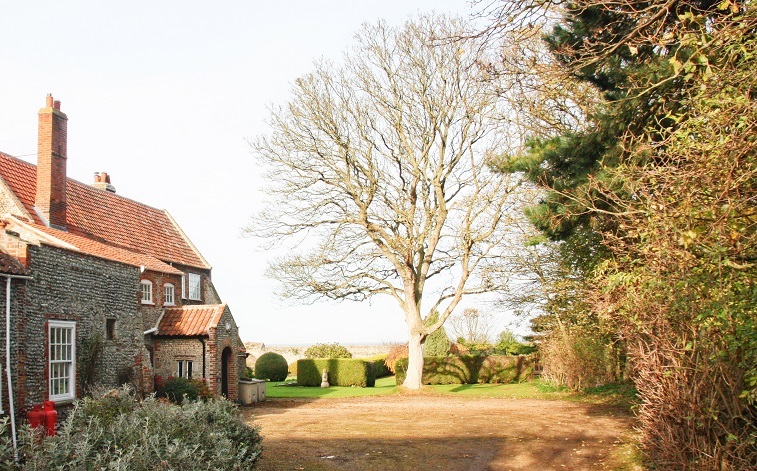 The gravelled driveway at the front of the property have ample parking space for up to 5 cars. 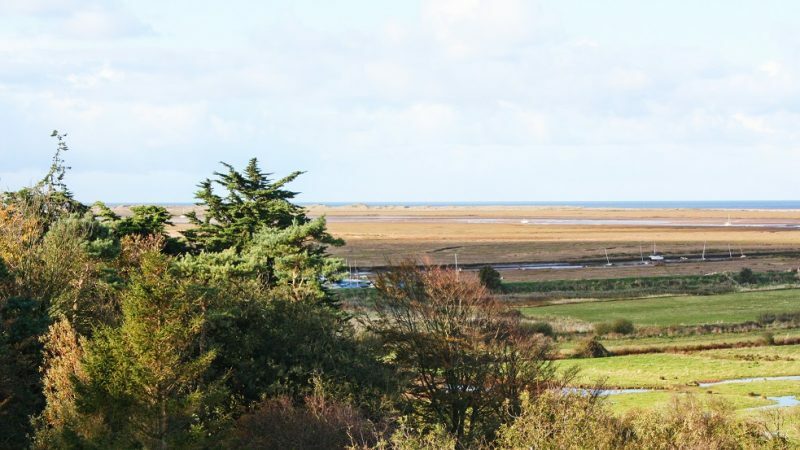 The coastal village of Blakeney is one of the most enchanting on the North Norfolk coast. 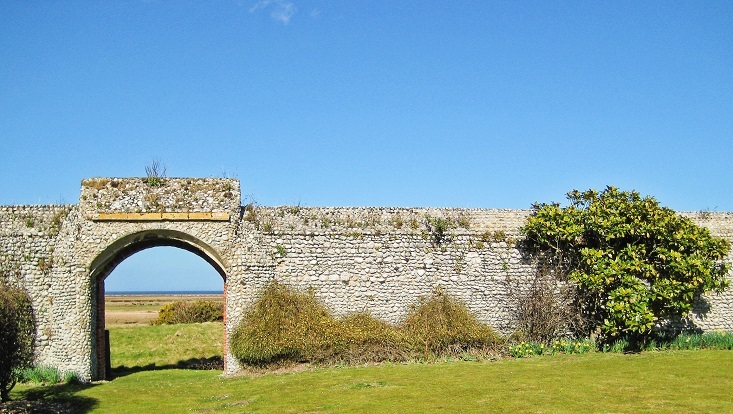 The village has just as much history as the house itself and the fascinating landscapes have been titled a ‘designated area of outstanding natural beauty’. 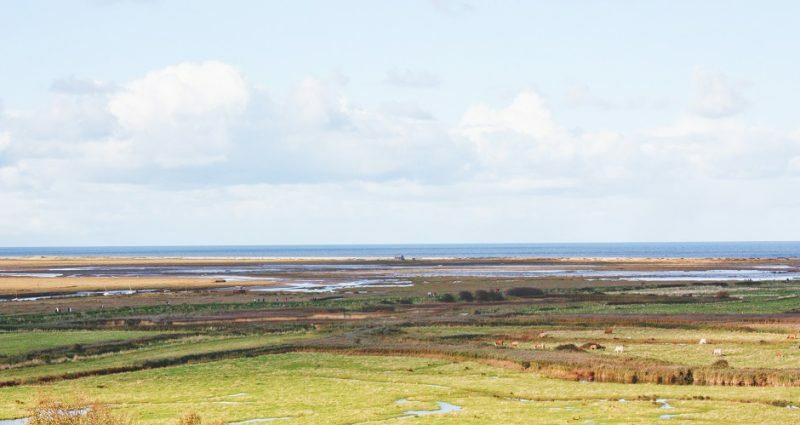 For the little ones in the party, seal boat trips run from Blakeney and the nearby village of Morston and gillie crabbing on The Quay is a delight. 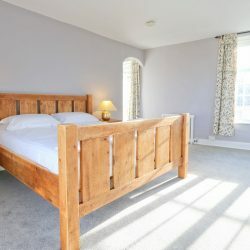 We advise booking early to avoid disappointment! 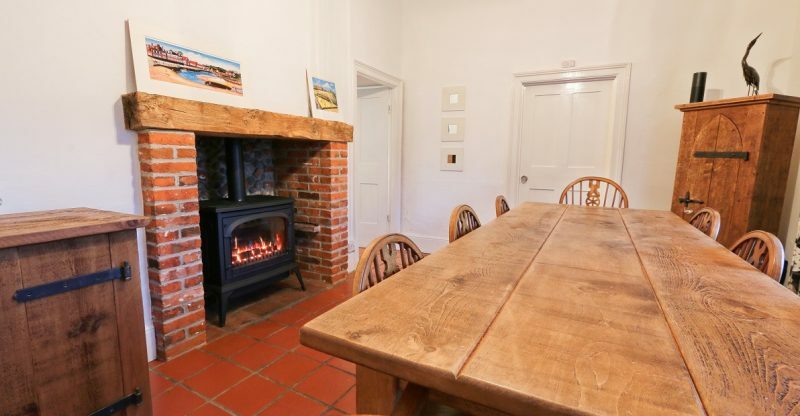 Two dogs are welcome at Friary Farmhouse but please make sure they stay downstairs and do not go on the furniture. 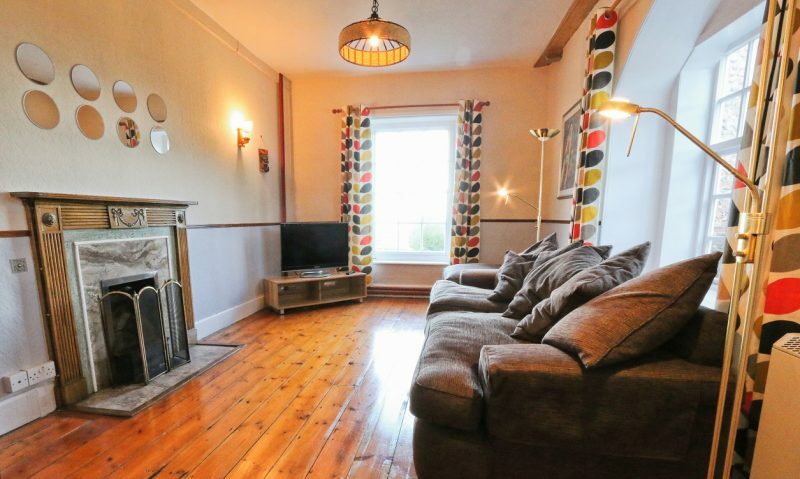 A £300 refundable security deposit is required with every booking.